Center for Biology & Society post-doc Guido Caniglia and MS student Sean Cohmer have their hands full this week! Busy days in the Center for Biology and Society! The team of the Global Classroom, a partnership between ASU and Leuphana University in Germany, are getting ready for the arrival of 18 students and 4 instructors from Leuphana University. Our German guests will be in Arizona from September 14 through September 29. After months of working together at a distance, the whole Global Classroom contingent is going to be in the same place working again on the topic: “Sustainable Cities: A contradiction in terms?” In the Center for Biology and Society, we are all looking forward to this event! On July 12, PhD candidates Kate MacCord and Lijing Jiang gave a presentation on their ongoing research into Chinese scientists who worked at the Marine Biological Laboratory from 1920 to 1945, and the impact of those affiliations on the development of scientific institutions in China. Kate and Lijing are working at the MBL this summer as part of the MBL Community Archives Project. The talk was well attended by MBL scientists and members of the Woods Hole community. 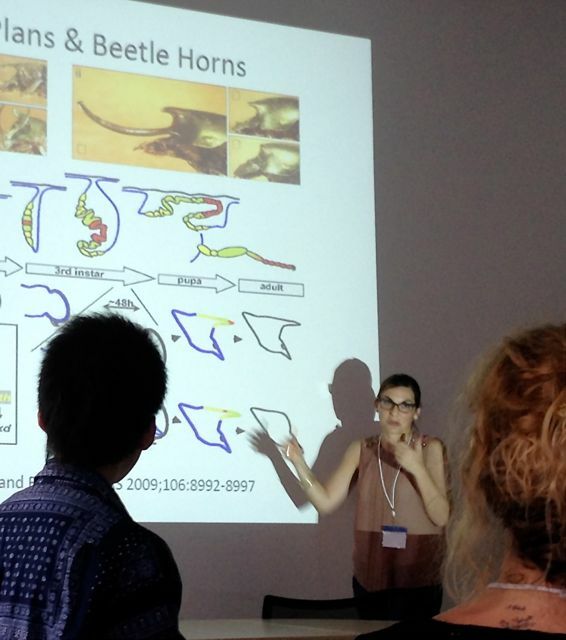 Students and faculty from the Center for Biology & Society have returned from the 2013 biennial meeting of the International Society for the History, Philosophy, and Social Studies of Biology (ISHPSSB, or Ishkabibble) in Montpellier, France. 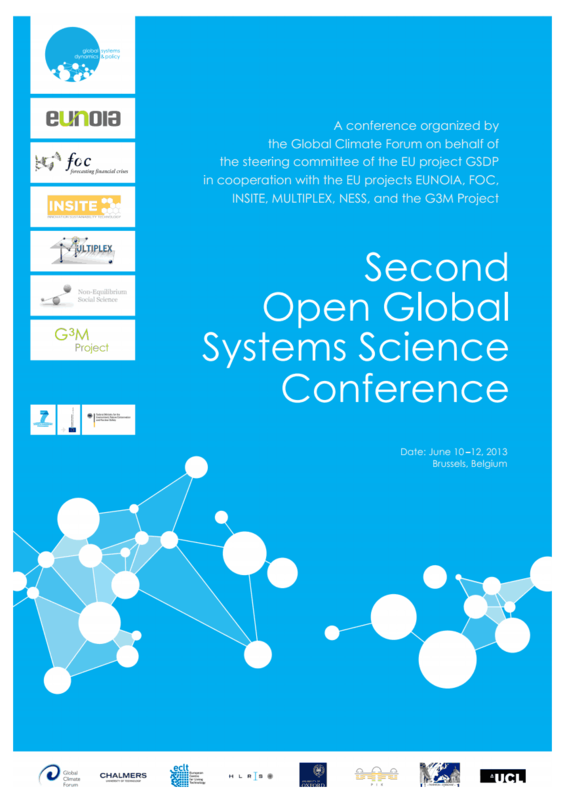 In Brussels, Belgium on June 10–12, Manfred Laubichler attended the second Open Global System Science (GSS) Conference. 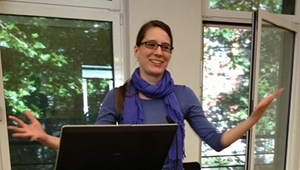 During the session ln knowledge technologies for GSS, Dr. Laubichler delivered a talk as well as led a discussion on “Global Health and Information and Communication Technologies.” The conference was organized by the Global Climate Forum on behalf of the steering committee of the EU project GSDP in cooperation with the EU projects EUNOIA, FOC, INSITE, MULTIPLEX, NESS, and the HLRS. June 12–16, 2013: Manfred Laubichler delivered the talk, “A Developmental Evolution Perspective on Cancer” at the second International Biannual Evolution and Cancer Conference: From Unicellularity to Multicellularity and Back Again, in a session on the evolution of multicellularity. The conference was hosted by the Center for Evolution and Cancer within the UCSF Helen Diller Family Comprehensive Cancer Center at University of California, San Francisco, and also featured a public lecture by Carl Zimmer, and a concert by Baba Brinkman. The 48th annual Joint Atlantic Seminar for the History of Biology took place this weekend, April 26 & 27, at the Marine Biological Laboratory in Woods Hole, Massachusetts. The meeting was attended by 42 scholars, ranging from graduate students to senior historians and philosophers of science, and was organized by a committee from the ASU Center for Biology and Society (Kate MacCord, Lijing Jiang, Jane Maienschein, and Erick Peirson).